Anyone who’s ever tried to kick a cigarette habit knows how difficult it can be. Nicotine, the highly addictive stimulant found in tobacco, produces a pleasant “buzz” when inhaled, releasing adrenaline. Eventually, the nervous systems adapts to this and forms a tolerance, forcing smokers to consume more nicotine to achieve the same buzz or risk uncomfortable withdrawal symptoms. To combat the unpleasant withdrawal symptoms of nicotine, there are several FDA-approved forms of NRT available without a prescription (also called over-the-counter, or OTC). NRT gives a smoker nicotine in the form of a patch, gum, nasal spray, inhaler, or lozenge while avoiding the chemicals found in tobacco. As a means to mitigate the physical dependence smokers have on nicotine, NRT is a method that smokers can start using right away. Different types and strengths of these products are available, and work to help wean smokers off of nicotine all together. Combined with NRT’s focus on physical dependency, CBT’s emphasis on the mental aspect of smoking can help smokers successfully quit. This unique form of treatment aims to identify and change harmful thoughts, emotions, and behaviors that provoke issues like depression and addiction. By changing the underlying behaviors that lead to smoking, smokers can learn to resist urges. There are several FDA-approved prescription drugs that, when taken as directed, have been shown effective in helping smokers kick the habit. These medications target specific areas of the brain to lessen both the withdrawal symptoms of nicotine and reduce cravings. Talk with your health care provider about whether this option is a good choice for you. 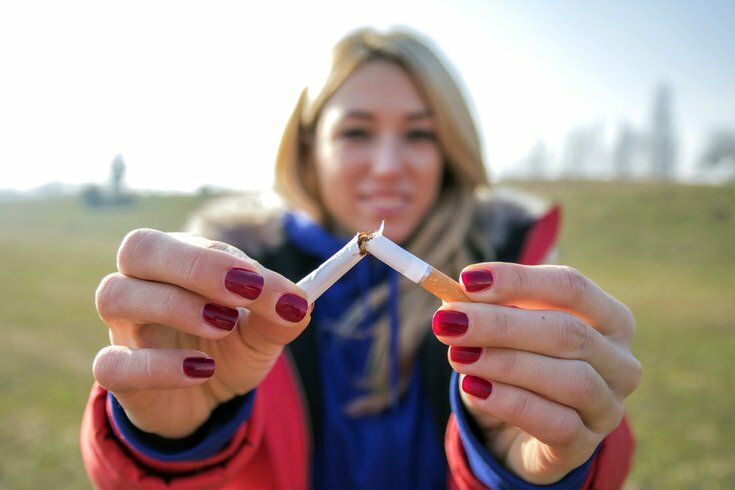 Although it may seem daunting, some ex-smokers swear by quitting cold turkey, that is, without any form of smoking cessation aid. This cut and dry approach isn’t for everyone, but may be successful for those who are motivated by a pressing purpose, such as providing a healthier home environment for their family or saving money. In addition, online groups or in-person group counseling can provide incredible support while quitting cold turkey. Cigarettes don’t just cause bad breath, stained teeth, and a strain on the wallet and relationships — the negative health effects of regular tobacco use are severe and life-altering. But despite the challenges of quitting, 1.3 million people a year do successfully kick their smoking habits. If you’re thinking about quitting, you should know that there is incredible support readily available. And, with help, what may seem impossible is absolutely within reach.